The CareGiver Partnership: What Are The Most Absorbent Pads for Light Bladder Leakage For Women? 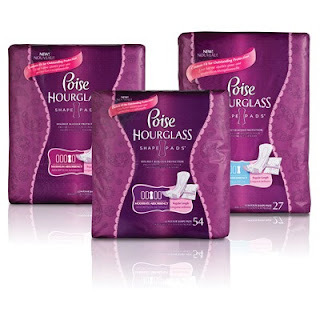 What Are The Most Absorbent Pads for Light Bladder Leakage For Women? Consumer research shows that over 25% of women experience regular LBL, many of whom do not seek medical advice or treatment for it. Absorbent Pads, which are fairly similar to menstruation pads, but far more absorbent, are a great option for women with LBL. However, there are at least 70 different pad choices, which can make choosing the best pads for LBL difficult at best. When it comes to pads, there are different brands, sizes and absorbencies to choose from, begging the question: How can you possibly determine which is the most absorbent or the best for you? It is not like the manufacturers make it easy to compare brands. None of them use the same terminology. Some say “maximum” others say “super” or “heavy duty”, and it is hard to know how they compare. Is “super” the same as “maximum” or “ultimate”? For example, the following names are all used to talk about essentially the same product: Maximum, Ultimate, insert pad, shaped pad, Super Maxi, Forte, Heavy, Super, Day Heavy, Day Moderate, Night, Day Plus and Night Super. Poise Hourglass - Maximum and Ultimate – What’s the difference between these and just “Poise”? These are good for women who carry a few extra pounds because they fit better and won’t bunch. A great way to make sure you are getting the proper absorbency for your incontinence level is to keep a voiding diary. Not only will it help your doctor get a clear picture of your incontinence, but will help you with product selection. Print out a voiding diary. Don't waste money trying to figure out the right brand, product type, size or absorbency. Learn more about LBL and bladder control.